HomeCeiling Stucco RemovalWhat are stucco ceilings? Home What are stucco ceilings? Stucco ceilings are a type of ceiling finish that was once very popular back in the 1980s. Since then, they have become much less favorable, prompting homeowners to have them removed in place of something more modern and easier to take care if. Stucco ceilings are also referred to as “popcorn ceilings” or “cottage cheese ceilings” due to their textured, bumpy appearance. These ceilings are characterized by hard ripples made out of stucco material that is sprayed onto ceiling surfaces. They were popular years ago because they were easy to apply and more affordable than many other ceiling finishes. Why Are Homeowners Removing Their Stucco Ceilings? Today’s sophisticated homeowner is choosing ceiling finishes that have a much more sleek and clean look. Usually, smooth finishes are preferred over textured finishes. Stucco ceilings are no longer considered esthetically appealing, and as such, more and more homeowners are choosing to have them removed. 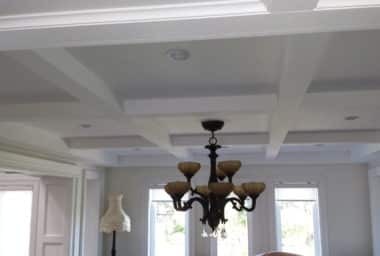 In addition to improving the look of their homes, homeowners are choosing to have their stucco ceilings removed in order to make it easier to keep their ceilings clean. The textured surface of stucco ceilings makes them a trap for dust and debris. Not only that, such debris is more challenging to eliminate – homeowners would have to first carefully vacuum the ceiling to remove any dirt or dust, then gently take a cloth to the surface to remove any excess dirt that remains. In doing so, particles of the stucco ceiling can be easily broken off, creating both a mess and a hazard. Stucco ceilings are also being removed because of the potential for any asbestos that may be lingering within the material to be broken loose and enter the air. Should this happen, all occupants of the home will be exposed to this hazardous material and can suffer from serious health issues as a result of prolonged inhalation of asbestos. For homeowners who wish to have their stucco ceilings removed, they should be wary that this is not a task for the faint of heart. 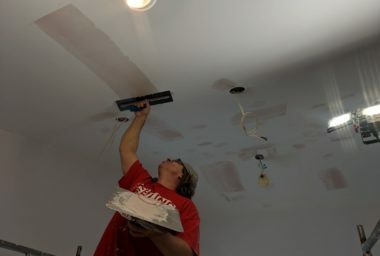 Whether the material is removed by chipping it off, smoothing it over with another less-textured material, or covering it completely with ceiling drywall, the process is a highly involved and time-consuming one. 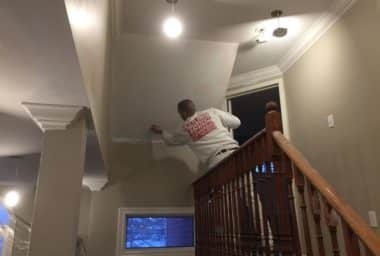 That’s why it’s highly recommended to have a stucco ceiling removed by the professionals in the industry who already have the knowledge, skill, and experience to do a proper and safe job. 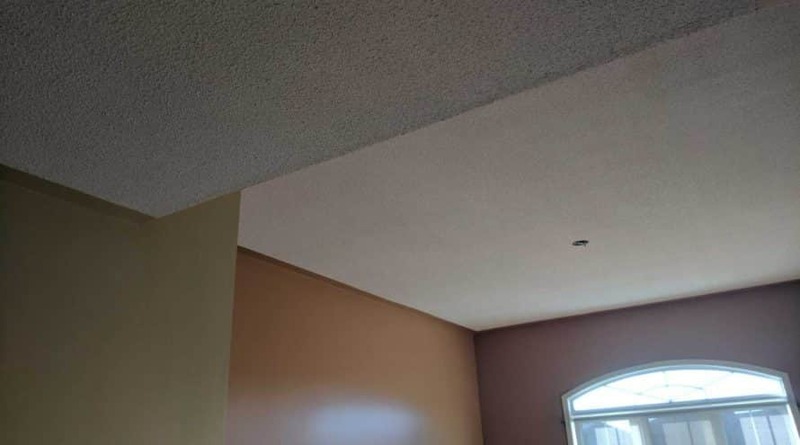 At The Ceiling Specialists, we make it our business to help homeowners get rid of that unsightly and potentially hazardous stucco ceiling material and replace it with a smooth finish that’s much more appealing!